This is one such newbie: a body butter COLLECTION. Like you don’t even have to pick, they’re just all there for you! Check them all out here and when you’re ready to get on the wellness train, click on the “Work With Me” tab on top and I’ll help you from start to finish! It’s always a big deal when starter kits with a ton of oils go on sale. SO IT’S CURRENTLY A BIG DEAL! This kit has 11 oils, a Thieves spray, Ningxia samples, and an ACTUAL DIFFUSER. (This is so much cooler than when I signed up…) Plus you get team support from a lovely group of people as well as myself. I might also throw in a little sumthin sumthin to sweeten the deal but you’l just have to join in to find out! To get started on this journey click here or email me here with any questions. Let’s support your immune system, get calm and de-stressed, and feel empowered to have a go-to when things get tough. You deserve it! Recently, we got some exciting news. There were new oils being added to one of our favorite kits at Young Living! Now, one of my favorites were being added along with two other very awesome things: Valor, Peace and Calming, and a Thieves hand purifier. NICE! The scent of Valor is meant to give you extra courage and confidence. Peace and Calming does what it says: makes you feel peaceful and calm. Thieves hand purifier is a great way to cleanse your hands after a day of shopping and germs! 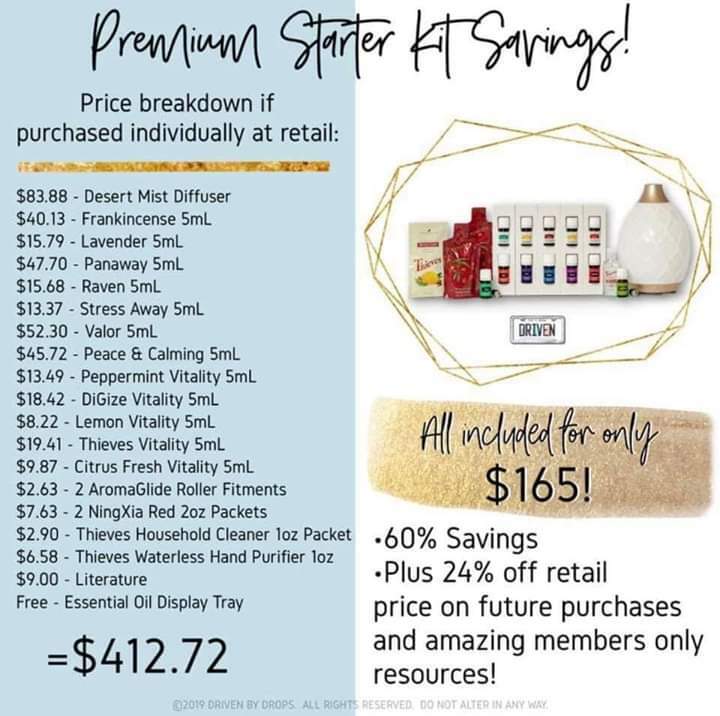 Now it’s easier than ever to get your own kit with TWELVE oils, your choice of diffuser, and lots of other goodies (including wholesale pricing for life!). 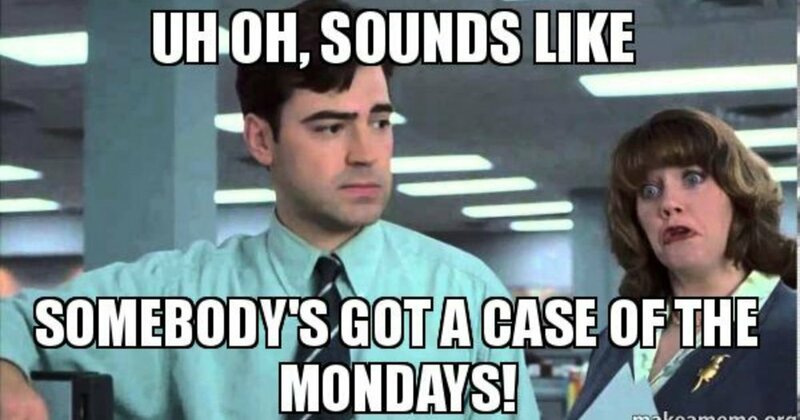 Is it a case of the Mondays? Or just a long summer coming to an end? Or lack of sleep?! This summer I was blessed to be home with our two kids. They're tween/teen age now and spending so much time with them the past three months has been both hard and rewarding. I love those little humans so very much! How they've grown, how amazing they are, how interesting they are is just fascinating to me. My heart swells when I see how far they've come. They'll be starting school soon which means I'll be able to focus on more things business related: building, advertising, actively recruiting. I'll be honest, this past three months I've let things slip a bit. I've been focusing on my family which of course is important. But I've also been dealing with the shadow of depression here and there. Depression is so difficult to describe and explain, isn't it? On one hand, you want to be strong and fight it. Sometimes you win! Sometimes you don't. You feel guilty for burdening your family but also resentful that they want you to be happy all the time. You feel tired. Scared. Maybe a little panicked, because honestly, is it going to go away soon or not? You're trying to figure out what triggered it this time but really, depression is always there. I've found a great deal of help with amazing natural supplements, oils, exercise, and eating right which I'm so grateful for. Yes, there are some days I can barely bring myself to get out of bed and I "forget" to do all the things I know are good for me. My kids have had a lot to do with overcoming that this summer. I don't want them on their iPads, phones, and Xbox all day so I'm going to get up and we're going to do something amazing! And we do: this summer we've fished, vacationed, swam, built things, played games, hung out with grandparents and friends, you name it. It's been a good summer. But summer is almost over. Maybe I'm a little nervous about what's going to happen when they go back to school. Without their developing brains to worry about stimulating, will I be enough to get myself out of bed? Can I stay on task? Will my husband be resentful that he's working outside the home and I'm not? Will I feel guilty that he's got to face the working world while I work from behind my computer? As an intuitive introvert empath, feelings are always huge, especially when they're coming from others around me. When low energy emotions come from your inner circle, you find yourself becoming more and more introverted and you internalize more, trying to avoid it. It's an intricate dance as you move around all the feelings while building yourself up. Some days you feel vulnerable - those days are hard. Everything offends you, people accuse you being too sensitive, and you just want to go hide under the blankets. Some days you feel unstoppable and you get SO much done! It's so easy to let things roll of your back. But honestly there is rarely a happy medium. To all the stay at home moms, work at home women, business builders, intuitive people, and empaths, know that you're not alone. Keep fighting, keep pushing forward, keep hoping, keep an eye on your dreams, and plan your goals. Because even on a bad day, good days are coming soon. Earlier this week, we said goodbye to Young Living's founder, Gary Young. Did I ever meet Gary face to face or shake his hand? No, it was my goal to do that when I walked across the stage as a Royal Crown Diamond but sadly, I won't get to see that smile up close. What I DID get to see of Gary was his passion and excitement. Even in a stadium packed with thousands of Young Living members, I remember his words brought tears to my eyes more than once. When other people tried to match that excitement, they ended up sounding cheesy to me. Gary was genuine. When I went to Utah for Silver Retreat, we got to listen to him speak in a smaller venue. I could tell he didn't take crap from anyone but I also got the feeling he wanted you to know why he wouldn't accept less than the best. He overwhelmed me because I still wasn't sure where I was at in my YL journey. But he made me want to do better. I did get to meet his wife, Mary, and her sister at Silver Retreat and they were a hoot! I sometimes wonder what I would do if my husband would die. We've known each other for 22 years. I don't know how I would function with my daily life. Not only does Mary Young need to navigate single parenting, she also needs to run a billion dollar company in Gary's image. I have no doubt she's up to the task, but it goes to show how closely family and YL are tied together. There's something about a leader that leads by doing, not telling. I've heard people say that while Gary loved to share the message of YL, he much preferred to be out in the fields, doing the hands-on work and seeing his vision grow. If only there were more people like him in the world, who didn't accept second-best and only wanted good for everyone. If everyone paid it forward like he did, the world would be an insanely better place. It's hard to imagine Young Living without Gary and all his amazing ideas at the helm. I know our company is in good hands, we're just used to Gary's hands. If he were listening now, I would thank him for having high standards, caring for the Earth, for going against the naysayers and doubters, for sharing his vision, and for never giving up. I will carry the torch and strive to be selfless like you were. Godspeed. The posts, testimonies and information provided on this site are not intended to treat, cure, diagnose or prevent any disease or illness. Please be sure to always check with your health care professional before altering any prescription medication or starting a new health care regiment. The suggested use of essential oils on this page are YOUNG LIVING EXCLUSIVE. I cannot be held responsible for damage done through the use of off-brand or synthetic essential oils, supplements or homeopathy suggested on this page. INGESTING SYNTHETIC or PERFUME GRADE essential oils is highly dangerous. These bottles are labeled "NOT for internal use". Young Living essential oils are MEDICINAL grade, used internally in over 50 U.S. hospitals and will be noted on the label as "GRAS" by the FDA for internal use or as a food additive. Also, intuitive guidance, Angel Card readings, and scans are done with your health and wellness in mind. These are guidelines to assist you on your journey, they are not a quick fix. It is not my intent to replace your qualified medical doctor.